this week in math 10 we spent the week reviewing what we have learned throughout the semester in preparation for the final. I completed the review package A and B on my own time, and in class. my questions or misunderstandings were answered during class time when we went over common questions as a class. throughout this week I realized which units I needed to review more thoroughly and which units I fully understood. to help with review, with partners, we also used an online website “quizizz.com” and entered codes based off of the unit we wanted to study. 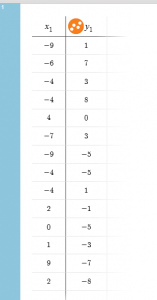 I completed the quizzes for measurement and functions with my partner. this week in math 10 we started our unit on “systems of linear relations” I learned that a solution is the point on a graph at which two lines meet. depending on the relation of the two lines, there can be 1 system, infinite systems, or no systems at all. 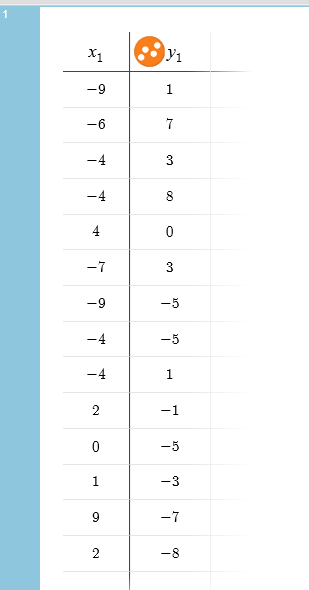 there is one system if the slopes to not match, there are an infinite amount if the slope and y-intercept of the lines match, and there are 0 solutions if the slopes are the same because this would represent parallel lines. to find the solution of two lines we can use one of two methods, we can use the elimination method or the substitution method. 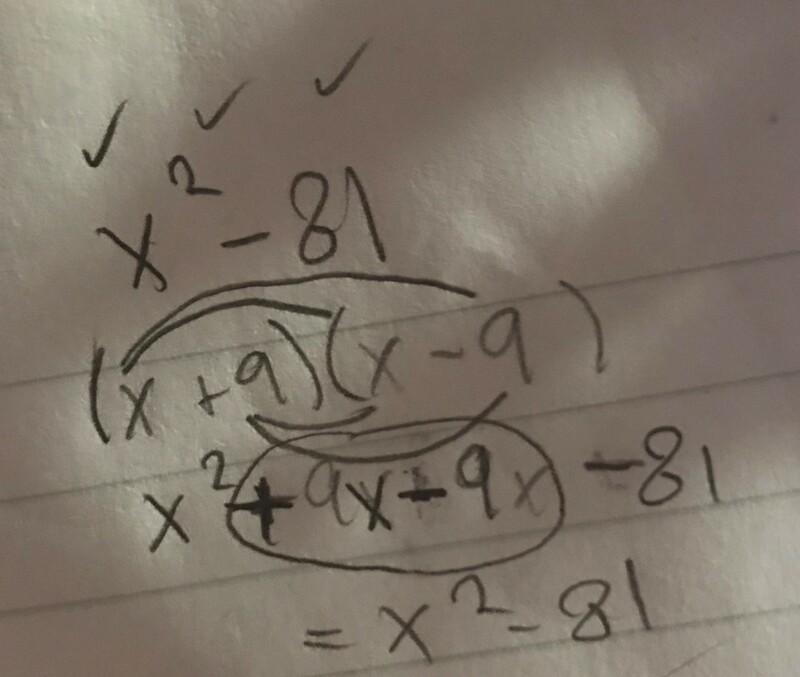 start off by choosing an equation of the two to isolate either y or x. 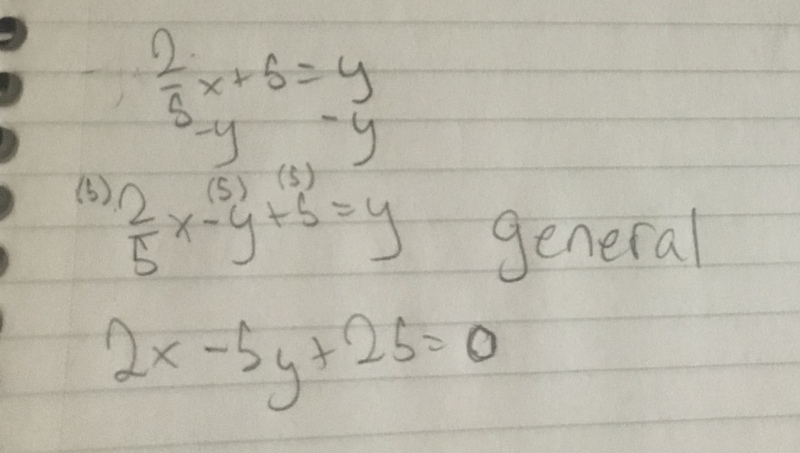 8y+40-3y=10, combine like terms and isolate the variable to find the y coordinate. now to use elimination, a much quicker method. 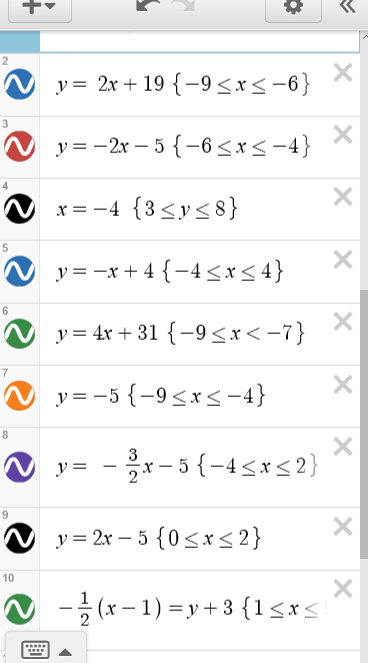 so x=5. 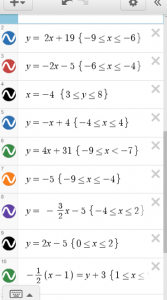 now we input 5 into one of the original equations, replacing all of the x’s, to find the y-coordinate. 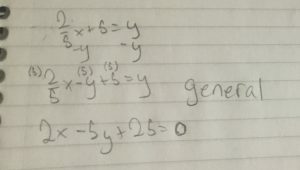 then verify by inputting x and y into both original equations as we did for the substitution method. this week in math 10 I learned about parallel lines and perpendicular lines. I learned that the slope of parallel lines will always be the same, and that the slope of perpendicular lines will be negative reciprocals. 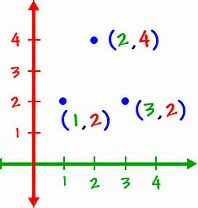 a negative reciprocal for example: if one slope is then the slope of the line perpendicular will be . I also learned how to convert to point- slope form, to slope- intercept form, to general form, starting with a set of coordinates and a slope. 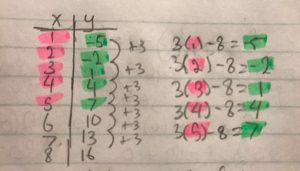 now to convert to general form (x+y+#=0) we need to get rid of all the fractions, and make sure the leading coefficient of x is positive. you can also represent functions through mapping diagrams, a mapping diagram uses arrows to connect the inputs with the outputs, an example of a relation that is not a function would be this because 4, as you can see has arrows to three different outputs. this week we started our unit on polynomials, this was mainly review but i learned how to model binomials multiplied by binomials or binomials multiplied by trinomials or trinomials by trinomials etc, by using an area model. i also learned that you can use this type of model to model more than one digit number multiplication. for modeling polynomials, its all done in a box. 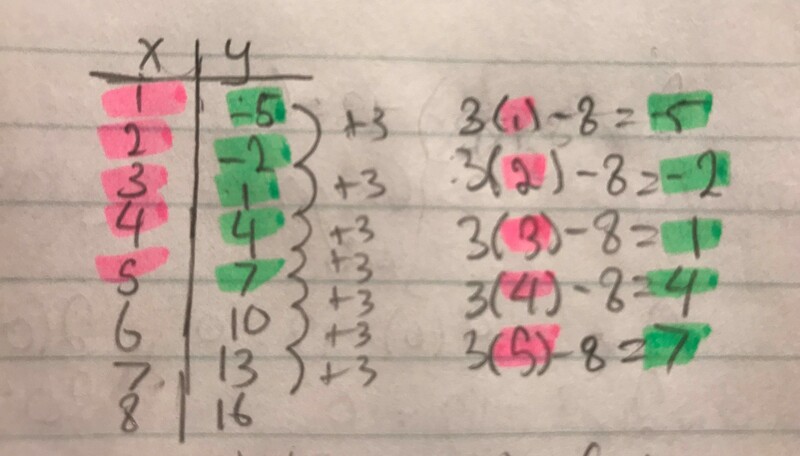 if i had ( )(x-5) you would draw a square and divide it into 4 even squares, one for each piece of the expression and along the top you would write then along the side you would write x-5 and you would fill in the box as if it were a multiplication chart so it would look like this….